Thorbjørn (which translates to Thunder Bear) signaled to the golfing world his outstanding talent when as an 18 year-old, he finished 4th in the Scandinavian Masters late in the summer of 2008 while being a member of the Nordic mini tour. After playing a handful of events on the Challenge Tour in 2009, he went to the qualifying school and missed out on his full European Tour card by just 1 shot. Perhaps a blessing in disguise, he committed himself in 2010 to the Challenge Tour, a Tour which he was the stand-out player on, winning once at the Ecco Tour Championship and finishing 3rd on the final rankings, thus gaining promotion to the European Tour. In his first event on the European Tour in 2011, he finished tied 2nd at Leopard Creek and then tied 9th the following week at the South African Open, thus underlining his talent. Further success followed throughout the season and he finished his rookie year 48th on the Race to Dubai. In 2012, Thorbjørn won his first event on the European Tour at the Sicilian Open. The resulting boost in self-confidence saw Thorbjørn produce far more consistent results but his year was turned around even further when he came through a play-off at Sunningdale Golf Club to qualify for The Open. It was there that he shone on the big stage, partnering Tiger Woods in the 3rd round and matching him shot for shot, ultimately finishing in a tie for 9th. It was that performance which catapulted him into the world’s top 100 for the first time, leading to his first appearance in the US at the USPGA Championship. After this, his career progression has been noteworthy. He finished the year 15th on the Race to Dubai and broke into the top 50 in the world, thus earning him his invitation to the 2013 Masters Tournament. In 2013, Thorbjørn also represented Continental Europe in the Seve trophy and played in the Royal Trophy for Europe. In 2015, Thorbjørn had his comeback win by capturing the Alfred Dunhill Links Championship at St. Andrews. At the 2016 Turkish Airlines Open at the Carya Golf & Spa Resort, Thorbjørn captured his sixth professional victory. 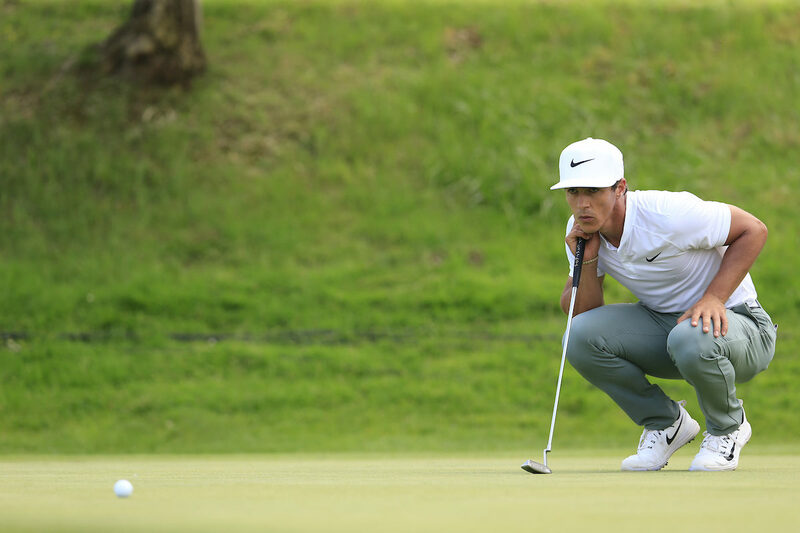 Some sensational golf over the first three days in Antalya had given Olesen a seven-shot lead heading into the final round. This seven-shot lead after 54 holes is the biggest in the history of the Turkish Airlines Open. A closing round 69 saw the 26-year-old finish on 20 under par. This win moved him up to 9th in the 2016 Race to Dubai rankings. It also maintained his 100% winning record of claiming all four of his European Tour titles when leading going into the final 18 holes. Thorbjørn represented Denmark with partner Søren Kjeldsen at the 2016 ISPS HANDA World Cup of Golf and went on to claim a thrilling four-shot victory at Kingston Heath Golf Club. The Danes had been a dominant force all week, with a stunning round of 60 in the fourballs on Friday helping them take a four-shot lead into a final day where they went on to seal the deal on the last with a glossy finish from Thorbjørn. It was another successful team event for Thorbjørn, this time teaming up with Lucas Bjerregaard and claiming victory at the first ever GolfSixes event on the European Tour in May 2017. It was a tight final match with a birdie on the third hole for Australia, giving them a 1-0 lead. But it was no surprise when Denmark came back and won the final three holes to be crowned the inaugural GolfSixes champions, with a 3-1 win over the Aussies. A solid summer on the 2017 Race to Dubai saw Thorbjørn enter the first event of the final series in Turkey, ranked 27th on the rankings. This was helped by a fantastic T3 finish at the HNA Open de France where he shot a closing round 65, T4 at the Nordea Masters and in China, a T8 finish at the Shenzhen International. Thorbjørn finished the 2017 Race to Dubai season in 23rd position. Thorbjorn captured his fifth European Tour title at the Rolex Series event, The Italian Open in June, as he held off stiff competition from home favourite Francesco Molinari and England’s Lee Slattery.Needing a par at his final hole to seal victory, he looked in trouble off the tee, when he pulled his drive left. But a fantastic up and down save from the green-side bunker completed his final round, with a bogey-free 64 and a 22 under par total. One day after capturing the Italian Open title, Thorbjørn played the US Open qualifier at Walton Heath, and finished tied 12th on -6, which was enough to earn him a spot in the US Open the following week at Shinnecock. Some fine performances from Thorbjørn during the summer on the European Tour resulted in a second place finish at the BMW International Open, tied 6th at the Dubai Duty Free Irish Open and solo 4th at the Nordea Masters. At the WGC-Bridgestone Invitational, Thorbjørn shot rounds of 71, 67, 68 and 64 to finish his week off in a tie for third. Following on from these performances, Thorbjørn earned an automatic qualification spot on the 2018 European Ryder Cup team, which they went on to win. Winning one point from his two matches, it was a memorable week for him. The Dane took down Jordan Spieth (5&4) to claim a much-needed point for the European side. Thorbjørn is a big football fan, following his hometown team of FC Copenhagen as well as Manchester United. He also has a keen interest in music, movies, theatre and skiing.